The tech unicorns were stampeding last year. While new cloud computing startups spring up every month, 2017 was a particularly great year for startups in the tech space as they scooped up funding in large amounts from eager investors. Each funding round is decided based on a valuation of the startup. Now, valuation can be an iffy metric to gauge a startup on, but it is nevertheless a metric that decided the flow of real cash, so in that sense, it does have its value, however bloated it may be. A high valuation is a certain indicator that the startup is operating in a space that is ripe for innovation and that the startup is on the right course. 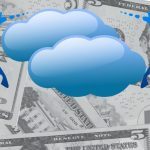 Let’s look at the most highly valued cloud computing startups in 2017 and the funding they’ve received. This list is not meant to be exact but rather an indicator of where venture funds are flowing, and which are the hottest areas with most innovation happening today. Docker needs no introduction. It’s the darling of the tech industry and the poster child of the container revolution that’s swept across development organizations over the past three years. Recently raising a series E round of funding for $75M, Docker is unsurprisingly a unicorn valued at $1.3 billion. With the rise of Kubernetes, a lot hinges on how Docker can navigate the ever-changing tech landscape as it seeks to take containers into the enterprise. Because new CEO Steve Singh is experienced at building companies in the enterprise space, Docker stands a good chance to deliver on its high valuation. In today’s world of uber-savvy cybercriminals, security for cloud applications is the first concern for organizations large and small. One of the best ways to secure apps has been multifactor authentication. It enforces a two-step login process for users that requires using two devices or accounts like a password and an OTP sent to a mobile device or email ID. Duo Security is one company cashing in on this trend and is an innovative provider of cloud-based access security for applications. Closing a big round of $70 million in funding, Duo Security’s valuation soared past the $1 billion mark ushering it into the exclusive league of tech unicorns. Operating in the “boring” space of shipping and logistics, Flexport has managed to make believers of VCs with its lucrative model of making logistics more efficient and cloud-based. With its end-to-end supply chain application, it enables its customers to track the movement of shipments in real time and clearly predict usage so they can avoid wasting resources. This is a huge untapped market and one that spans every country globally. In a recent series C round of $80 million Flexport has been valued at a healthy $800 million. It’s just short of the unicorn mark, but don’t be surprised if that happens in 2018. If SaaS was all the rage of the last decade, AppDirect has found a new goldmine within the territory of SaaS itself — a SaaS marketplace. Boasting more than a million paying business customers, AppDirect has shown tremendous growth over the past few years. It hosts SaaS apps from numerous providers of enterprise applications, giving them an end-to-end platform for branding, distribution, billing, customer service, and more. The best part of AppDirect is that the apps on its platform are future-proof, able to adapt to the changing technological landscape. This is because they are technology-agnostic, API-driven, and can be deeply integrated with other applications with ease. As a middleman between the creators of SaaS apps and the enterprise consumers of these apps, AppDirect is focused on making this relationship seamless. Though not popular in the wider technology space, AppDirect is a lesser known treasure trove that VCs believe in. The recent series E funding of $140 million has raised it to unicorn status of over $1 billion valuation. Rubrik is one of the fastest-growing companies in the cloud data management space. It provides software solutions to handle data backup, recovery, search, analysis, replication, and compliance across hybrid cloud environments. Founded in 2014 and headquartered in Palo Alto, Calif., the company has surged from a $200 million to a $1.3 billion valuation in three years. Its series D funding of $180 million is proof of the confidence investors have in the organization. Other innovative startups in this space include Nutanix with its hyperconverged infrastructure offerings and NetApp with its AWS storage solutions. Databricks provides a unified analytics platform to use Apache Spark. The creators of Apache Spark (UC Berkeley team) founded this company to develop a web-based platform to work with Spark and provide cloud-based big data processing. The company has been funded since its inception in 2013. By 2016, it had raised a total funding of more than $100 million. Its most recent series D round was the biggest round to date, pulling in $140 million. With its open-source technology and unified cloud platform, it has onboard some big clients like Viacom, Shell, HP, hotels.com, Cisco, McGraw Hill, and 3M. Uptake was ranked No. 5 on the 2017 CNBC Disruptor 50 list. It is a predictive analytics SaaS platform that provides customers with uptime, productivity, safety, and cybersecurity analytics for their business. It combines cloud computing, industrial IoT), and Big Data analytics to provide industry-specific solutions such as agriculture, aviation, construction, energy, fleet, heavy equipment, rails, mining, natural oil and gas, and more. 2017 Pitchbook named Uptake the fastest U.S. startup to reach a $2 billion Valuation, and it is the most valued startup in this list as well. Its latest funding round drew in a hefty $117 million. The company is headquartered in Chicago. Using Apache Kafka, an open-source technology, Confluent provides a real-time data analysis platform. As cloud services, it offers a managed streaming data service by building streaming applications with Apache Kafka and KSQL (an open-source streaming SQL engine for Apache Kafka). The company is headquartered in Palo Alto, Calif., and their customers include Airbnb, Netflix, Goldman Sachs, LinkedIn, Microsoft, The New York Times, and Target. Until now, Confluent has raised a total funding of $80.9 million, the most recent being a series C round of $50 million. The cloud computing startups in this list point us to the future of technology and cloud computing in particular. Though valuation can be up one year and down the next, it is a clear indicator of a startup that has innovated and disrupted the space it operates in. As we watch how these startups continue in 2018, we also should keep an eye out for new entrants to this list of more unicorns and almost-unicorns.